Falvey Memorial Library :: Foto Friday: Are We Sisters? Foto Friday: Are We Sisters? 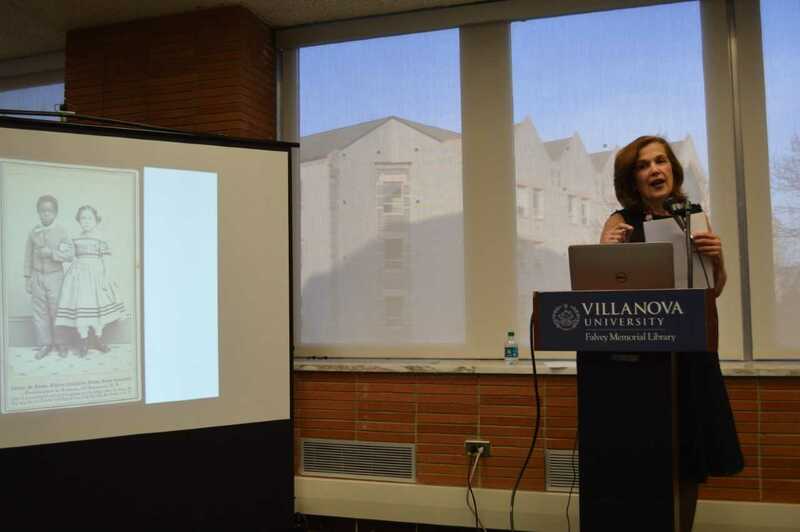 Catherine Kerrison, PhD, Associate Professor of History, captivates her audience, sharing an excerpt from her new book, Jefferson’s Daughters: Three Sisters, White and Black, in a Young America.